Hey there friends! 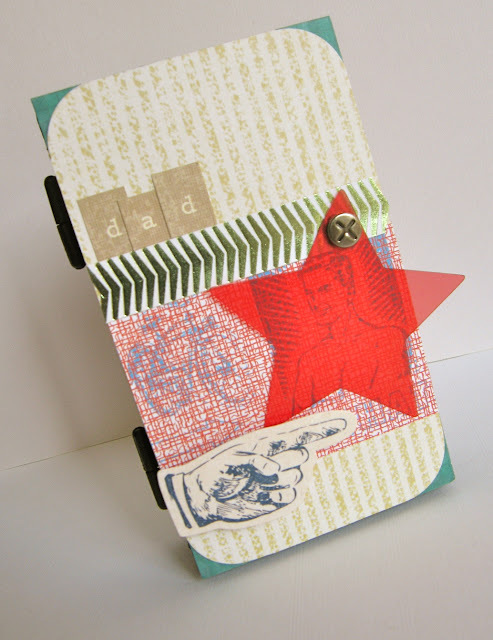 i'm here today to share with you a fun interactive gift you can give the dad in your life. I found this adorable screwdriver set at my local office supply store, and thought that a little facelift from SEI's new Mayberry collection would spiff this up perfectly for Father's Day. Mayberry is the cutest mid-relase collection from SEI. It mixes classic patterns that have a little foil elegance with nostalgic motifs to create a fun, happy, vintage feel. But, I think Mayberry's super cool coded patterned paper and decor transparency pack (in different shapes) makes it a great and unique collection this spring. 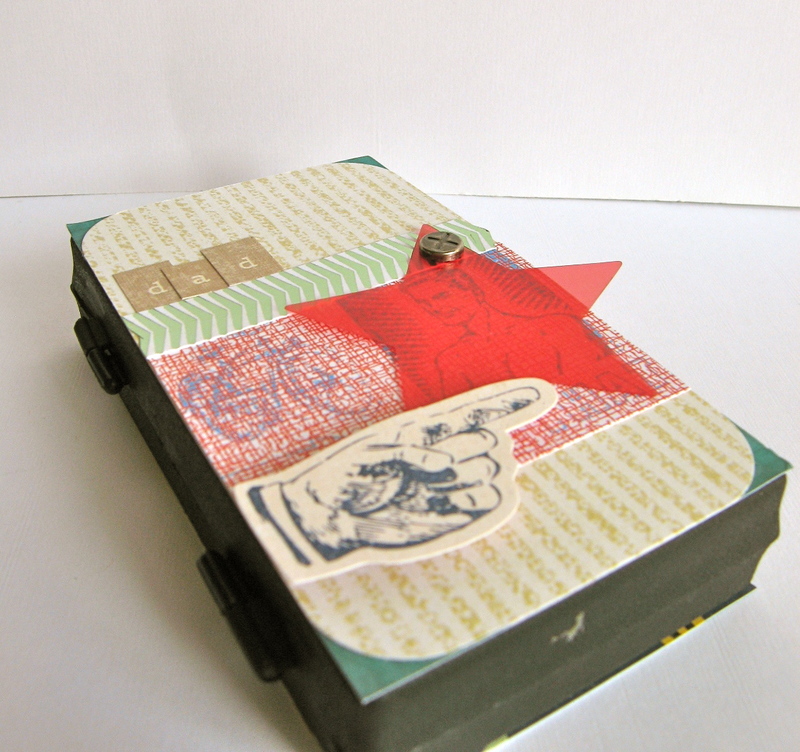 Decoders are fun little gadget that kiddos used to pass secret notes with when playing spies. 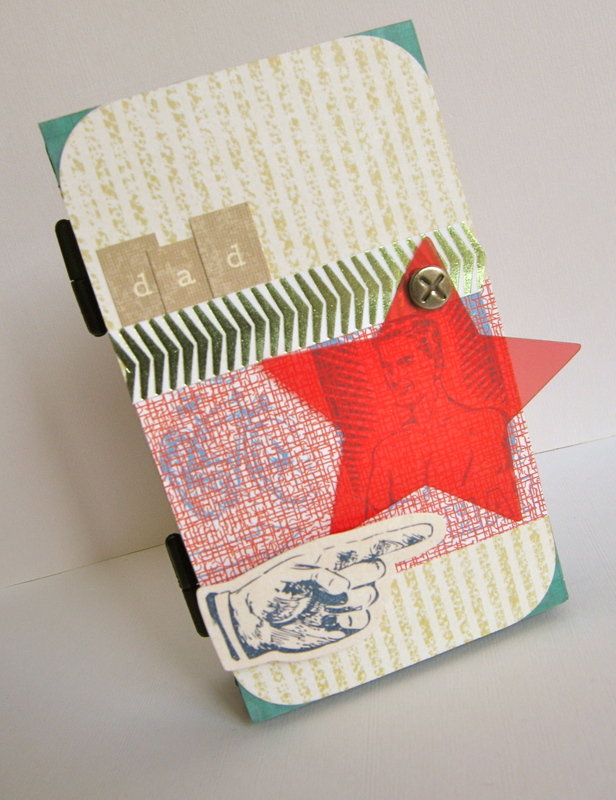 Now, you can pass a secret note to your dad! I chose coded image patterned paper and trimmed out a cute little picture of a dude. I then used the adorable little screw brad that comes in the sundries pack to hold the star decoder so you can swivel it over the coded image and see what it is. I really liked the look of the folied arrow patterned paper, trimmed it in a strip and added it to the top of the coded patterned paper. 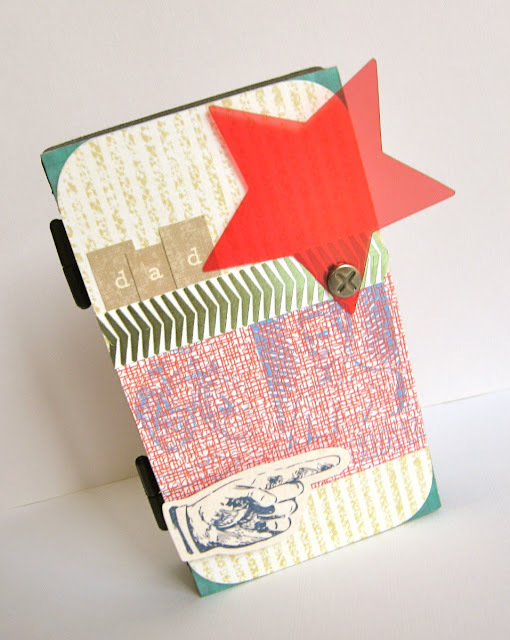 Add some letters and striped patterned paper from the Desert Springs collection and you've got a great little cover. This little screwdriver set is actually pretty small, so it's works well with the scale of this collection! The decoded paper from Mayberry is the perfect nostalgic thank you to your dad for giving you such a great childhood.